Corbeil Et Maranda in Montreal or Quebec City? Inform me about the next events for Corbeil Et Maranda. Enroll yourself to our priority waiting list for Corbeil Et Maranda to be alerted when new tickets are available. Filling this form doesn't engage you to any purchase. Corbeil and Maranda is a Canadian comedy duo composed of François Maranda and Jean-Marie Corbeil. The two comedians are known for their breathtaking shows. They are known thanks to the power of their text and their sarcasm. 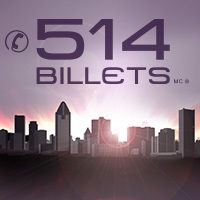 Corbeil and Maranda will land in Montréal at Gesù on November 14, 2017.